DIY History | Transcribe | Civil War Diaries and Letters | Account of the Battle of Bull Run, 1861 | 1861-Battle of Bull Run-Page 37. 1861-Battle of Bull Run-Page 37. 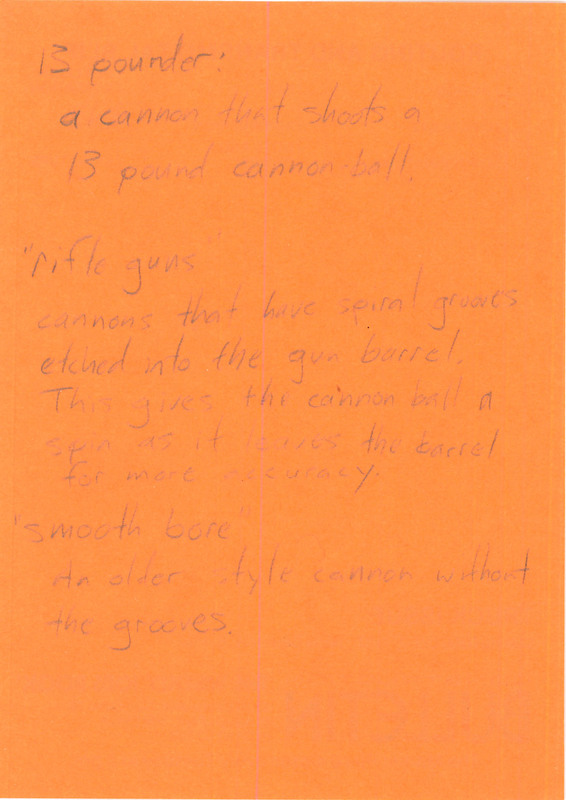 13 pounder: a cannon that shoots a 13 pound cannon- ball. "rifle guns" Cannons that have spiral grooves etched into the gun barrel. This gives the cannon ball a spin as it leaves the barrel for more accuracy. "smooth bore" An older style cannon without the grooves.